Mrs Sandra Granger is now part of the collective imagination of most Guyanese as the First Lady of Guyana, but it is a position she never conceived she would occupy. Nevertheless, it fits the former staff member of the Caribbean Community (CARICOM) Secretariat quite congenially. The CARICOM Secretariat recently sat down for an interview with her on the occasion of the 37th Meeting of the Conference of CARICOM Heads of Government being hosted in Georgetown, Guyana from 4-6 July 2016. Sandra Granger’s husband is the President of Guyana, His Excellency David Granger. 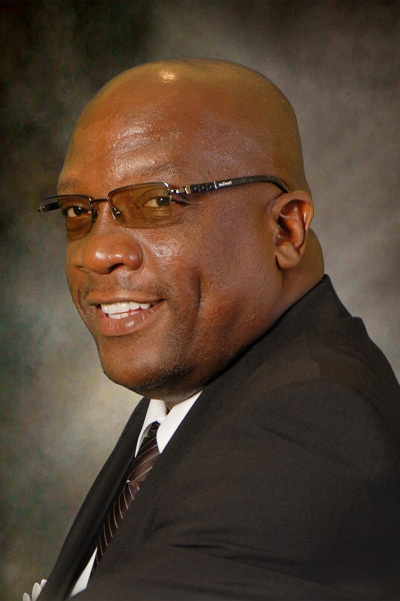 His decision to enter into politics culminated with victory for the combined opposition at Guyana’s 2015 General Elections. Mrs Granger has since embraced her role passionately and serves the Guyanese population as dutifully as she pursued the CARICOM ideal for a better life for all, at the CARICOM Secretariat for 18 years. In some respect, she still is serving the Community. She is working to advance solutions and treatment to issues that affect several CARICOM Member States such as adolescent pregnancies, human trafficking, youth development, HIV and AIDS, Information and Communication Technology capacity building, women empowerment, and rights of the child. Particularly concerned with adolescent pregnancies, she is involved with the Caribbean Community First Ladies Round Table on Reducing Adolescent Pregnancies in the Caribbean, to alleviate this issue which sees Belize, Guyana and Jamaica recording the highest rates. Collaborating also with Women Across Differences, Mrs Granger is participating in programs designed to increase teen mothers’ chances of leading a productive life by reintegrating them in school; equipping them with life skills for parenting and healthy living; and building their self-esteem against social criticism. Her involvement has accrued successes with at least five teen mothers completing their secondary education and several others reading for tertiary level education at the University of Guyana. Even though it has been eight years since Mrs Granger retired from the CARICOM Secretariat, her integrationist ideals are strong. She believes that the Caribbean Community is a necessity for small states like Guyana, especially in the new global environment. 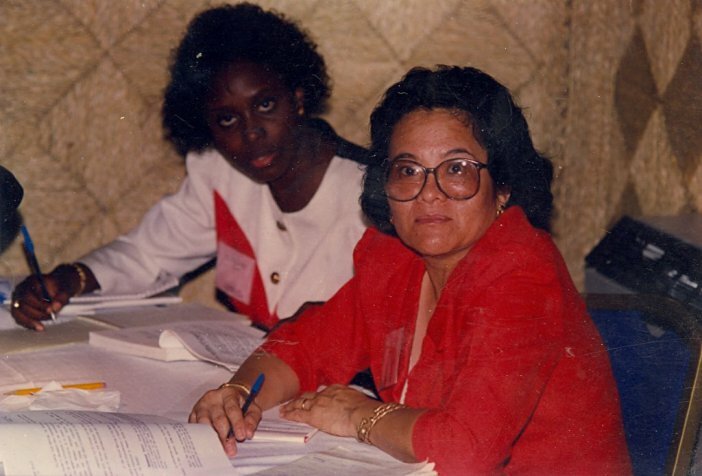 Mrs Granger joined the CARICOM Secretariat as a Rapporteur in 1989 - a watershed year for the regional integration movement. In July 1989, CARICOM Heads of Government issued the Grand Anse Declaration and Work Programme for the Advancement of the Integration Movement, at the Tenth Meeting of the Conference in Grand Anse, Grenada. The Declaration was intended to respond to the need to deepen and strengthen the integration process. It was to crystalize initiatives for establishment of a single market and economy. “My first assignment was to travel as a rapporteur as they were going through the Region to take the views of the people on what they thought about the direction the Community should go. It was interesting. I learnt a lot just by listening to the views of the ordinary citizens of CARICOM in their villages and in their parishes on what they thought CARICOM should mean to them,” the Guyana First Lady recalled. “I have seen CARICOM working for people. I have been aware of the institutions that have been set up by the Community to assist Member States,” she added lauding the regional work and scope of the Caribbean Examination Council, the Caribbean Disaster Emergency Management Agency (CDEMA), the Caribbean Public Health Agency (CARPHA), and the Standing Committee of Caribbean Statisticians. Commending other Community systems, she highlighted the CARICOM Quasi Cabinet in which individual Heads of Government have been commissioned to spearhead action in sectors critical to the Region's integration. The President of Guyana, for example is responsible for Agriculture, Agricultural Diversification and Food Security (including the Regional Transformation Programme (RTP) and Bananas). “I think people criticise the Community, especially on issues of economic interest. But the Single Market has come on stream. Of course, people have to accept that they will lose some soverenity, but they will gain momentum and economies of scale,” the First Lady stated. She added that she enjoys fruitful collaboration with the United Nations Special Envoy on HIV and AIDS, Dr. Edward Greene, who is also a Guyanese and the Former Assistant Secretary-General of the Directorate of Human and Social Development, CARICOM Secretariat. “Guyana has a unique role to play, both in human and material capacities, it can contribute to the community,” the First Lady stated.